Why was Anthony Miller’s catch-and-fumble ruled an incompletion? The NFL is here to explain. | Bring Your "A" Game Sports Talk! What’s a catch? Better yet, what’s a recovery? And what happens when there is no recovery? 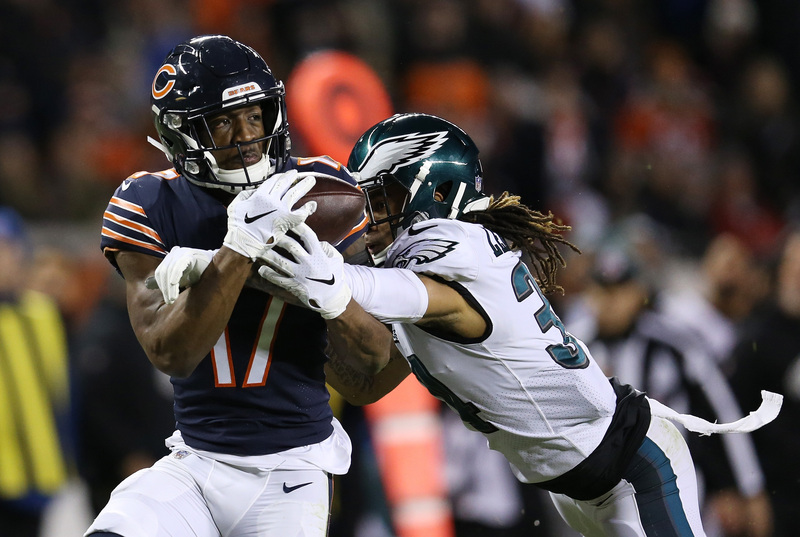 That controversy briefly reared its ugly head early Sunday in the wild-card playoff game between the Philadelphia Eagles and Chicago Bears. The good news is that the call on the field, ultimately, was correct. The bad news is that the sequence was confusing to viewers as it was unfolding. In the moment, game officials were left to sort out a situation in which Mitchell Trubiskyhit receiver Anthony Miller with a pass just before halftime. Miller took a few steps before losing possession as Eagles defensive back Cre’von LeBlanc grabbed hold. The play was ruled an incomplete pass, but replays showed Miller securing and then losing possession of the ball, apparently making it a completion followed by a fumble. Here’s the kicker: No one recovered the ball, which was picked up by an official. So often, defensive players scoop up a dead ball and run with it, not giving officials a chance to interfere. Better to suffer the momentary embarrassment of a touchdown or return that doesn’t count than to violate Coaching 101 and fail to play on until you’re certain the action is over. In the earlier Chargers-Ravens wild-card game, the Ravens’ Marlon Humphrey did just that, returning a Melvin Gordon fumble more than 100 yards, only to have officials determine that Gordon was down and that Humphrey’s return never happened. Back to the Eagles-Bears situation. Because neither team gained possession, officials (correctly) stuck with their (incorrect) initial ruling, which was later explained by Al Riveron, the NFL’s senior vice president of officiating.